This week has been a stellar success so far. Not only have I managed to blog every day -- a nice start on one of my goals for 2014, and a good way to flex my writing muscles and get me back into the habit of writing daily -- but I also thoroughly cleaned my desk and caught up on filing, which is making me feel much better organized. 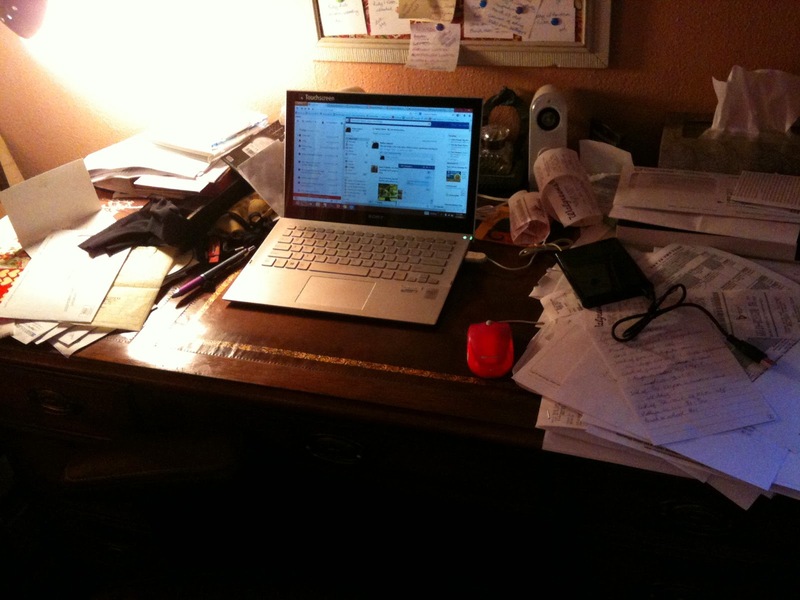 It's amazing how clearing the clutter also cleared my head, and made me feel more ready to get back to writing regularly... although it could also have been just getting something done that had to do with work that made me feel that way. 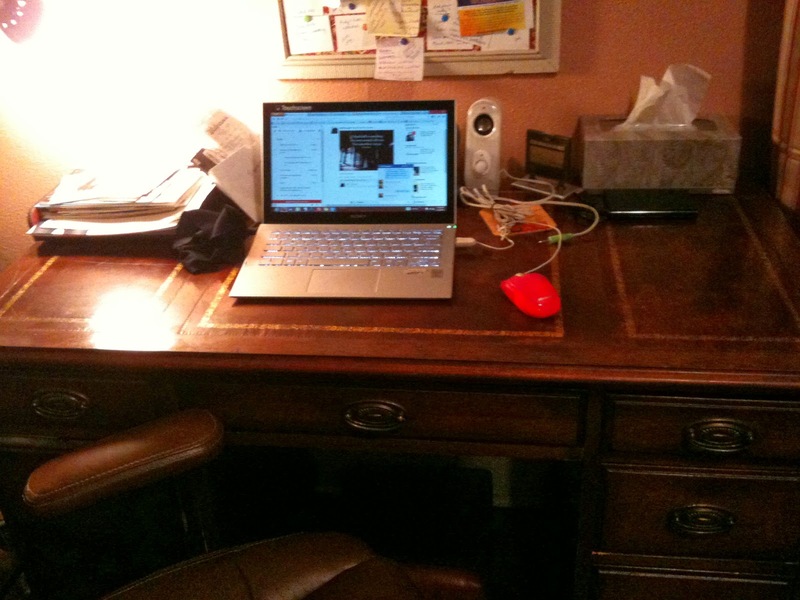 As you can see, my desk really was a horrible mess. I had a lot of receipts and mail to go through, filing to catch up on, old paperwork that actually needed to be thrown away but was so buried I'd even forgotten it was there... As extreme as that mess was, it's probably no wonder I feel lighter now that it's all organized again. I still have a few things to do -- you can see the stack of paperwork in my inbox on the left corner of my desk -- especially as Tax Day looms, but this is a great start and a nice achievement to show for my first week of Project: Get My Writing Groove Back.